There are many rebates and incentives available to offset your investment in energy upgrades. Allweather Insulation is an approved insulation provider for the City of Tallahassee. For more information about the programs available through the City of Tallahassee, including free energy audits, visit the City of Tallahassee website. If your insulation is less than or equal to R-19 and you upgrade to R-38 or greater, Duke Energy will pay you 19 cents per square foot installed above your home’s conditioned space, up to $200. Click here to learn more. For an additional list of available rebates and incentives by zip code, click here. 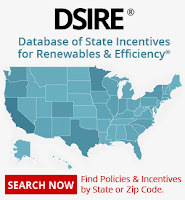 You will be redirected to the Database of State Incentives for Renewable Energy website, a resource from the N.C. Clean Energy Technology Center. Need help sorting through information about home energy efficiency? We can help. Contact us today.